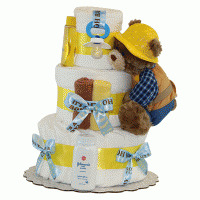 Welcome a newborn baby with a "good luck" elephant personalized baby gift. 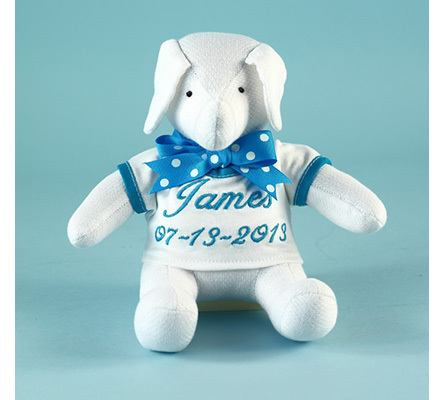 This white 11" elephant soft toy comes wearing a t-shirt beautifully embroidered with baby's name and date-of-birth (optional). 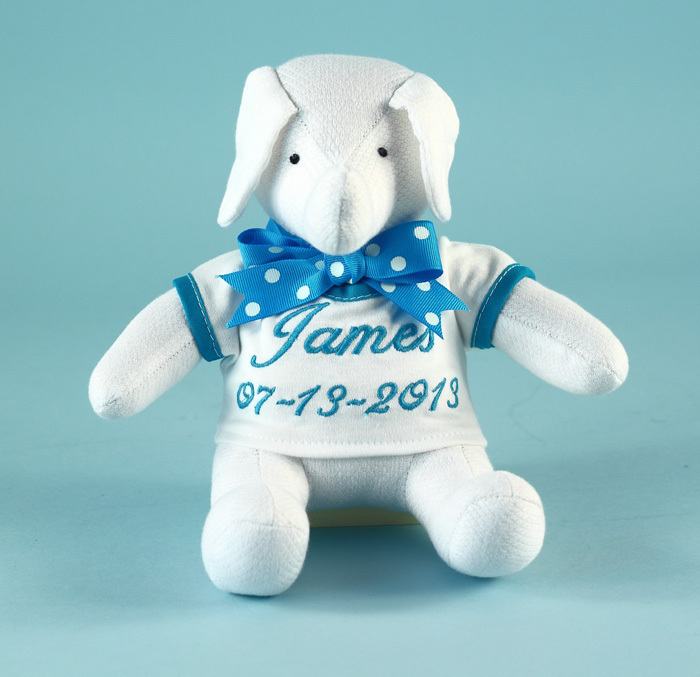 A personalized elephant makes a wonderful keepsake baby gift, one that'll remain in baby's room for years to come for sure. 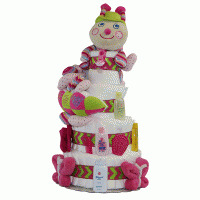 In fact, don't be surprised if your gift is the one that travels with the freshman off to college 18 years from now! 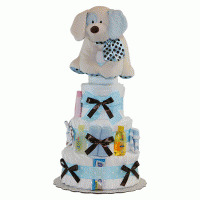 The elephant itself is meticulously made of a white cotton waffle fabric. The elephant's interlock t-shirt is trimmed in either blue or pink depending on gender, and finished off with a lovely coordinating white dot grosgrain ribbon.